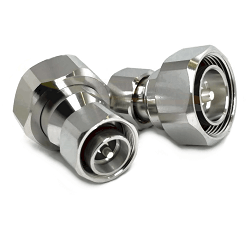 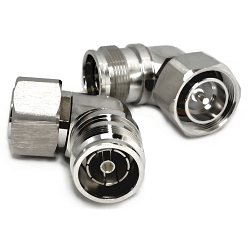 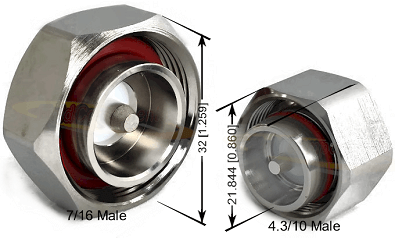 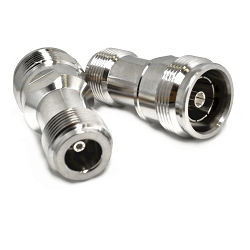 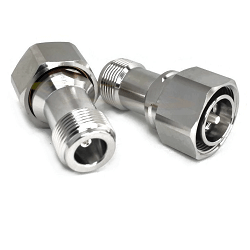 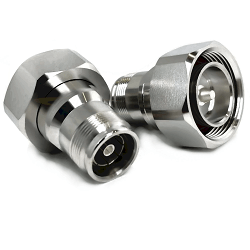 4.3-10 Adapters offer the similar design to the 7/16 Connector but are over 30% smaller and lighter allowing for much more dense, lighter weight applications. 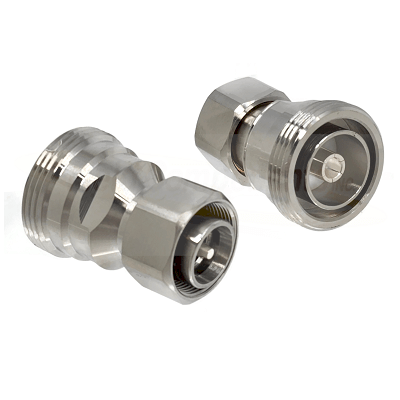 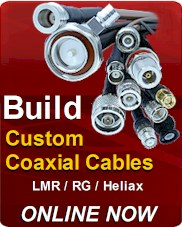 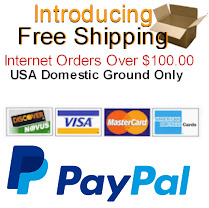 4.3-10 Adapters series are used for both indoor and outdoor applications. 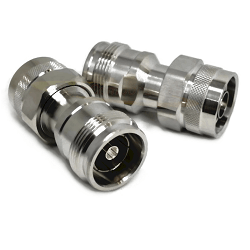 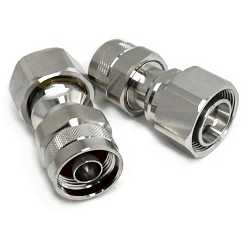 4.3-10 Adapters are ideal for Telecommunications, DAS networks, wireless Infrastructure, small cell systems, and mobile applications.
. 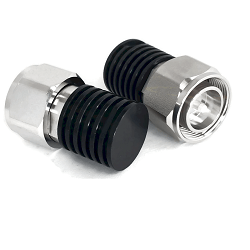 Designed to protect against dust and water ingress for outdoor applications, and still provide excellent VSWR performance up to 6.0 GHz. 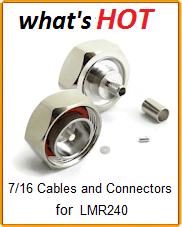 PIM performance is less than -160 dBc @ 1900 MHz. 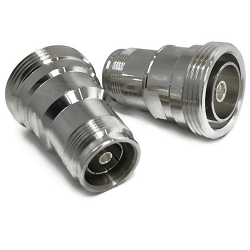 Silver plated contacts and White Bronze plated bodies offer a high-degree of conductivity, corrosion resistance, and durability.